So today I thought I would do something a little different but I feel this might help a few people out who are wanting to try this out and also show you what I bought. 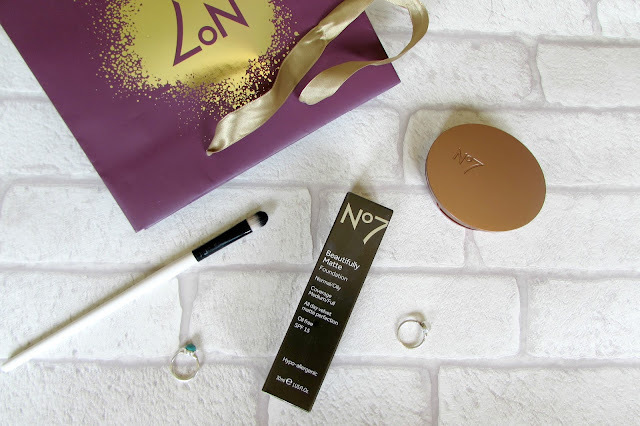 So I decided when I got paid this month I wanted to go and get my skin tested by No7 for what foundation shade suits the pigmentation in my skin so I thought I would share my experience and explain what foundation I picked and stuff like that. I had seen the adverts on TV and knew I wanted to get tested but I researched into it and I couldn't find anything which told you about it and peoples experiences so I thought I'd do this post so then if people are wanting to know what happens when you go to get it done you know what to expect. When I bought mine there was a buy one get one half price offer so that's why I picked up the bronzer but I will go into what I bought down in the post. So when I went to the counter I had actually already got a full face of make-up on so when I explained I wanted the test done the women just took two little bits off from each side of my jaw with a baby wipe and then did the test on my skin which came back the lightest shade they had 'Calico' which I tested on the part where she had taken my make-up off and it matched my skin perfectly which made my make-up look horrendously dark (Oops!) She then asked me if I would like her to blend my make-up in again properly which I asked yes as I was going shopping for the day which she did an amazing job at matching my make-up to the part she had taken it off which was so surprising as it honestly looked so dark. 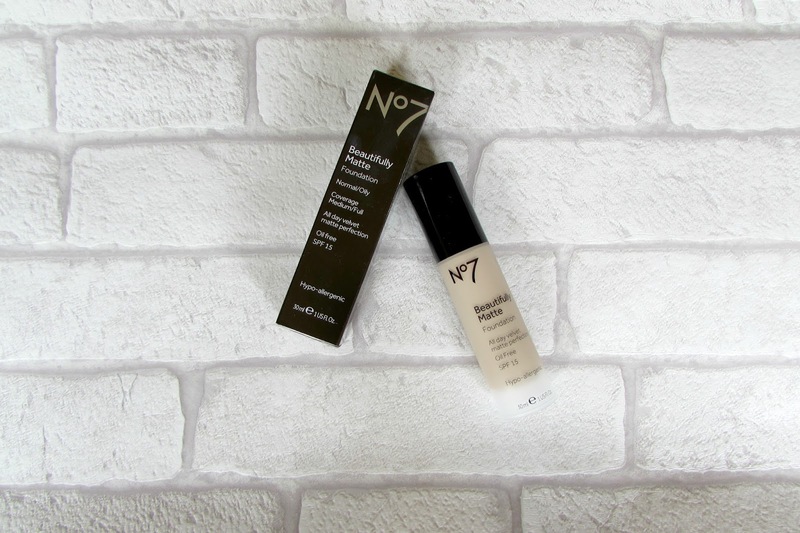 I suffer from oily skin so I wanted a foundation which was long lasting and wouldn't add more oils into my skin which this one sounded perfect. It applies matte and adds no extra oils to your skin. It lasts all day and is a medium coverage but can be built up. Overall I loved getting this test done as it was informative at how wrong I've been buying my colours and it was just a very comfortable atmosphere when I was looking at the foundations and all the staff was very friendly at helping with picking things which would work with my skin tone which is something I suffer with as I never know if a bronzer or blush will suit how pale I actually am. So as the offer was there I decided to pick up another product. I was going to just buy another foundation but decided against it as foundation normally lasts me quite a while. I've been looking for a good bronzer recently as I just feel like I'm wanting to find more holy grail products instead of having all different kind of products I have in my collection but never use them. So I was speaking to one of the girls at the counter and she said I could use a bronzer to define my face once I have my foundation on as I might need to add some colour to my face and she recommended this so I decided to buy it which I got it for £6 with the offer which was good. 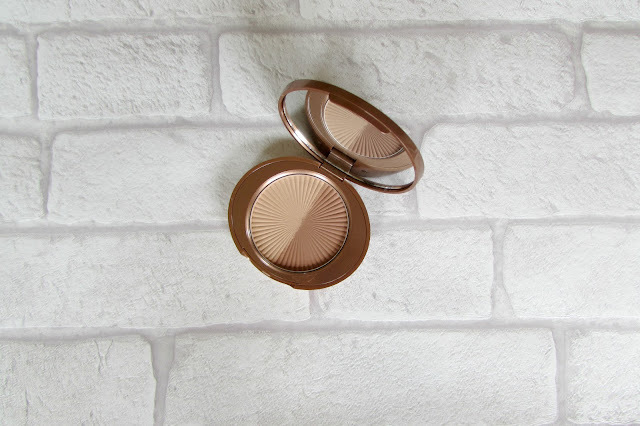 When I first picked this up it reminded me of Charlotte Tilbury make-up I'm not sure why but I just got that feeling when I opened the compact I really like the mirror in the compact too which is always a bonus. I will do a review on these products soon! I'm definitely going to do a review on this foundation as I have a proper opinion on it now so look out for that! and I adore the bronzer so much definitely worth the money :D I'm glad you enjoyed the review!